I video-taped Liz’s lesson as planned and we watched it together immediately after. As we watched, it quickly became very obvious that the students were having difficulty passing the state test, not because of their reading ability (as they can read grade-level text), but because of their limited exposure to English. Students demonstrated solid comprehension of surface level information (recalling facts, etc…), but were unable to “go deep” (inferring, author’s purpose, etc.). Liz realized that there is not much she can do about that in such a short amount of time, other than continue to build her reading lessons around language development. We also took a look at some sample state test questions. We created a plan for her to ask questions during her tutoring sessions that mimic those on the state test and to model her thinking when answering those questions (Example: The word stand is used to mean what in the story?). Purposefully using these types of questions will help her reach two goals: 1) continue to develop the students’ understanding of the English language, and 2)expose them to test “question-types” and the thinking process required to answer them. In summary, “Reading” wasn’t the issue at all…it was “Language”. Peer Coaching is being promoted by the Center for Peak Performance and Productivity (CP3) in Washington County Public Schools (WCPS) in Maryland. I recently spent a day with pairs of WCPS educators including administrators, student achievement specialist, department leaders, classroom teachers, special educators and instructional assistants. -is a partnership of teacher–to-teacher, administrator-to-administrator, or other pairs who have voluntarily agreed to coach each other. -deepens teaching strategies, habits, or practices through reflective conversations based on feedback from a peer. It was neat watching the pairs interact. 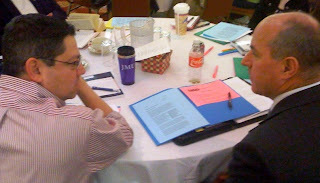 One teacher who volunteered for the program and modeled a pre conference with me is in his 38th year of teaching. One coaching pair was two first year teachers. 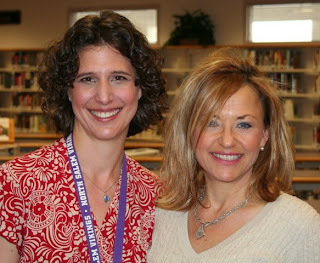 Two administrators formed a peer coaching team. CP3 is creating a culture of coaching in WCPS! 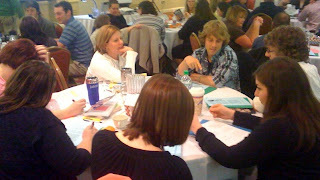 Instructional Coaching is receiving strong support in Salem Keizer Schools in Oregon. Instructional coaches are now found in all schools. Coaches have received extensive training during the last two years and the system has created roles and responsibilities for coaches, principals, central office personnel, and teachers. During a recent coach the coach session at Salem North High School I observed teacher Sara Leroy with instructional coach Tami Badinger. I post conferenced with Sara and then debriefed with Tami. In the post conference I shared several questions that Sara could use to help guide the student thinking. What insight did Sara gain from the coaching conversation and how did she change instruction? Sara’s lesson objective was to have students begin a persuasive essay by comparing and contrasting two characters from Julius Caesar. The students were asked to use quotes from the play to support their paper. Students began class by reviewing the expectations for the day and doing a warm-up activity in pre-formed groups. Students were given an essay outline to guide their thinking. Although the outline was expertly written, student focus and confusion was noticed. It was suggested by the coach that Sara elicit more pre-knowledge and connection from her students to ensure proper scaffolding. Steve Barkley asked, “Where do you see the students doing the thinking that you wanted them to do?” Sara realized that she desired more in-depth reflection from her students and that by providing an activity that elicited more pre-knowledge before writing the essay, she would be able to reduce student confusion while promoting more engagement. What did Sara observe with the instructional change that she made? After Steve, Tami, and I developed a modification to the lesson, I saw immediate results. Students were more engaged and able to delve into the prewriting activity for the essay much more confidently and quickly. Tami and Steve had helped me develop a structure for students to find success more independently, empowering them to think critically while they developed their persuasive essays. More students spent more time on task because the structure guided their thinking and learning. They could work at high levels of engagement without me sitting with them. What insight did you and Sara gain regarding the value and process of coaching? With the daily barrage of informational processing that educators must accomplish, it was refreshing to have reflection time embedded in the hectic day. Sara and I shared a common experience in her classroom that we were both able to identify. We were able to discuss, brainstorm and develop a strategy to implement in her next class to see if she noticed diminished student confusion and an increase in student engagement. By providing immediate feedback and goal setting, where student achievement is the focal point, Sara was able to experiment with a research-based strategy instantaneously. Through the coaching model, and with Steve’s assistance, Sara and I discussed the idea of teaching and learning being a continuous cycle requiring side-by-side support and collaboration. We also talked about the authentic nature of the coaching process and how it is most effective when it is directly embedded in the context of the job. Sara is an excellent teacher who possesses a natural curiosity in her profession and is willing to experiment with instructional suggestions because of the trusting collaborative relationship that we have developed. I highlighted some key phrases from Sara and Tami that define elements of coaching. I think peer coaching is an excellent idea. I work for a company called CoachingOurselves that believes in this concept as well. CoachingOurselves is an approach to leadership and management development that focuses on informal learning through self-directed peer coaching groups. It is through these groups that individuals can development and gain insight into the methods they are utilizing. Their concepts seem to align directly with those from your presentation. Thanks for sharing this information. I was just in a professional learning session yesterday when the facilitator stated, “What we used to refer to as mentoring is now being called coaching.” Personally, I’ve always called it coaching. In fact, I still use my Performance Learning Systems, Inc. notebook from 1998, and it is titled, “Coaching Skills for Successful Teaching.” I still have my notes from your training in the same year, Steve. This isn’t a new concept…it just has been vastly under-used as a means to improve teaching and learning. Fortunately, I’m beginning to see a great deal more attention being paid to this practice as more and more schools embrace the concepts associated with collaboration and professional learning communities.